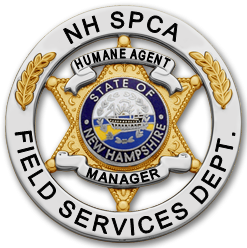 Since 1872 animal cruelty investigation has been one of the cornerstones of the New Hampshire SPCA. Today our services encompass an even wider range of activities. In addition to investigating between 600-800 complaints of cruelty or neglect every year, our agent works with other humane organizations to develop and strengthen legislation that protects animals throughout the State of New Hampshire. As part of our mission, the New Hampshire SPCA combats animal cruelty through a variety of diverse programs and services including humane education and our Field Services Department. The NHSPCA is one of the few humane societies in the state with a cruelty investigations staff, and the only one who goes statewide to help animals in need. Respond to emergency rescue calls such as animals in motor vehicles, traffic accidents involving animal transport vehicles, equine rescues, and many more! What is a Humane Agent? Humane Agents investigate animal cruelty complaints, assist law enforcement with investigations and removal of animals, as well as serve the public through recovering their lost pets and education of animal care and welfare laws. Not only do NHSPCA Humane Agents investigate animal cruelty, but they also provide disaster relief to animals and their owners through the Disaster Response Team (DRT); work with our Humane Education Department speaking to students during our summer camp programs and in other forums; work with other Law Enforcement and humane organizations to reduce illegal transportation of under-aged or sick animals, combating animal fighting on the NH Animal Fighting Taskforce, and much more. We respond to an average of 965 complaints per year. 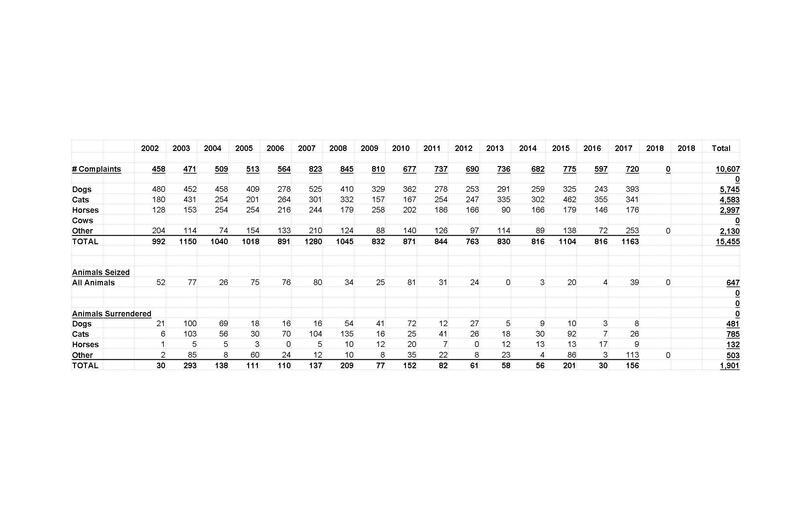 View department statistics here. Not necessarily. According to NH RSA 644:8, a dog must be provided proper shelter to where they can go in, turn around, and lay down, and be of sufficient to their size to retain their body heat. No. The Field Services Department accepts anonymous calls, and all calls are treated as confidential. Yes, leaving an animal behind without proper care (food, water) is considered abandonment. I know about someone that I believe is neglecting their animal; can the NHSPCA come and take it? It depends on the situation. NH cruelty laws are complex and depend upon each situation. Your best bet is to call our office and speak to a Humane Agent about the situation. We can be reached at 603-772-2921 x 111. I know about someone that I believe is neglecting their animal; can I take it? No, you cannot take someone’s animal. Your best course of action is to call our office and speak to a Humane Agent about your concern. If it is an emergency, please, call 911. Summer Safety | How Hot is Your Car?